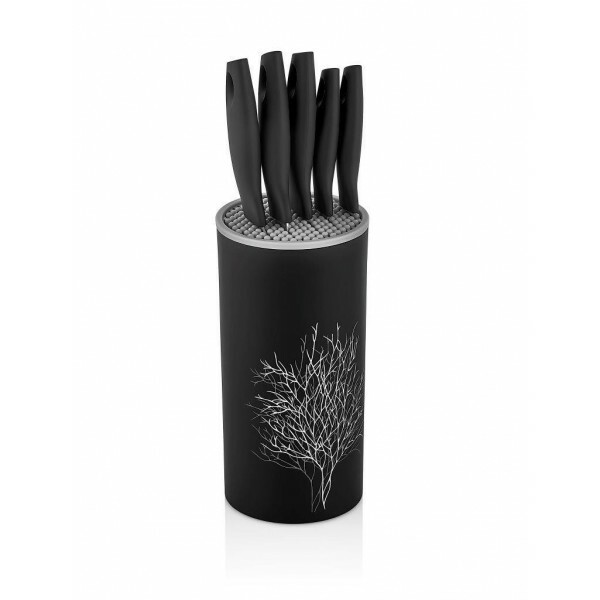 · Ideal for small, round vegetables such as peeling knife potatoes that will be ready with a suitable knife for every purpose with the set. Cutting knives cut vegetables and fruits, soft-core and hard-shelled vegetables such as tomatoes. The straight edge multipurpose knife is perfect for cleaning and preparing vegetable, greens and mushrooms. · Cut foods are easily separated from food. Cleaning is also easy. The honeycomb knife set has an impressive appearance with its special design stand.